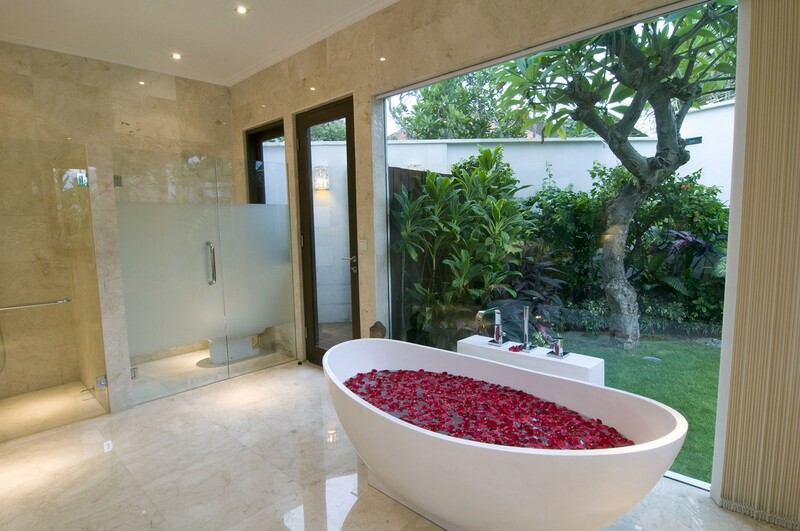 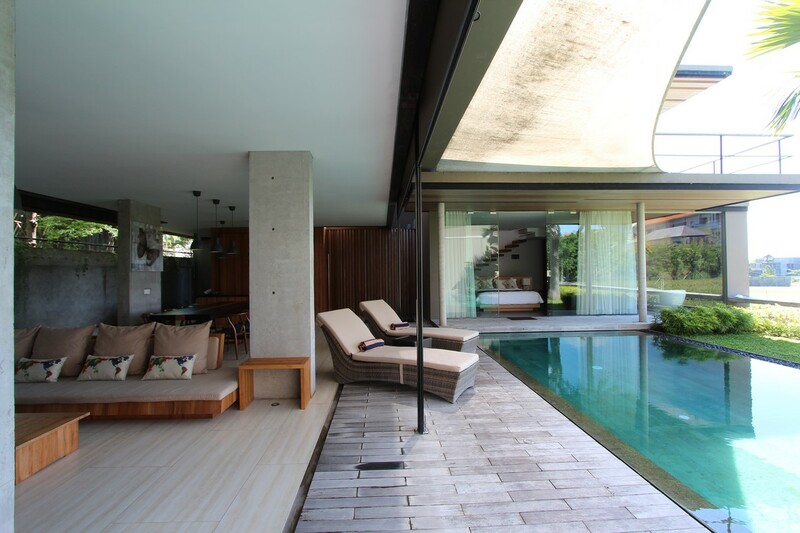 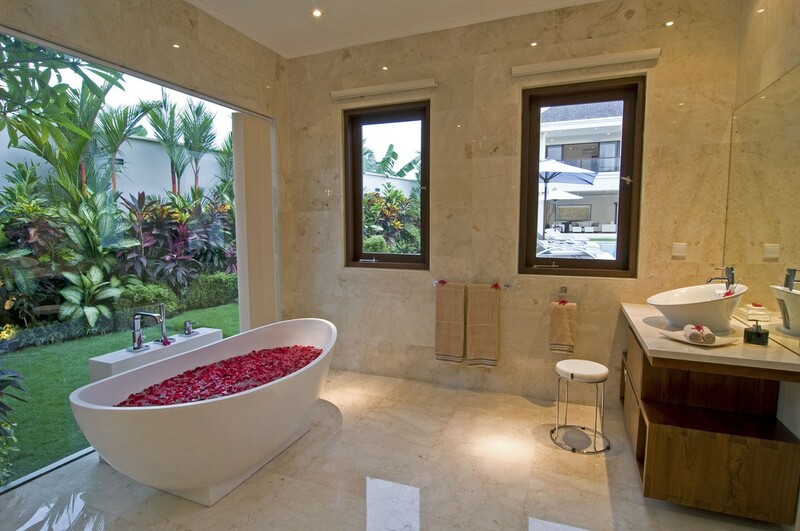 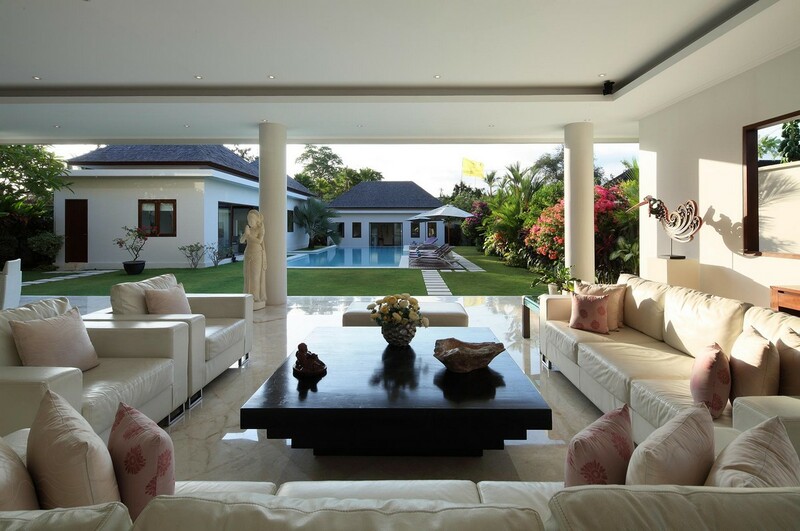 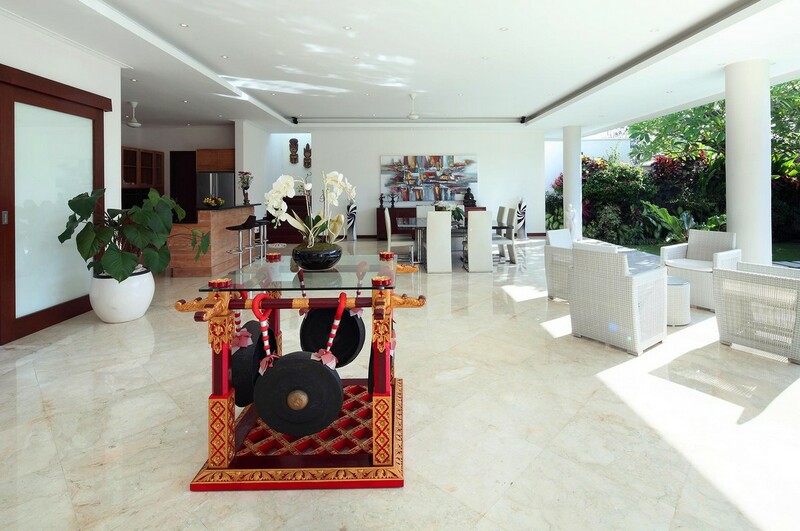 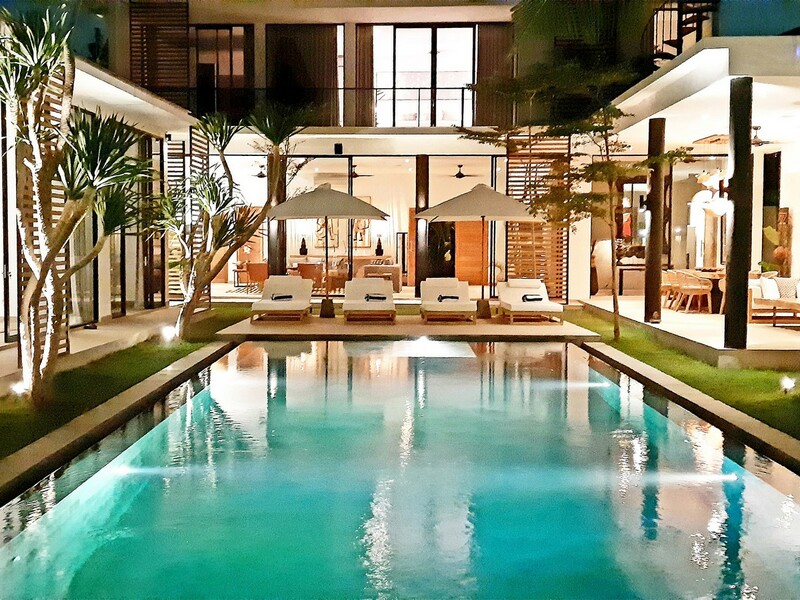 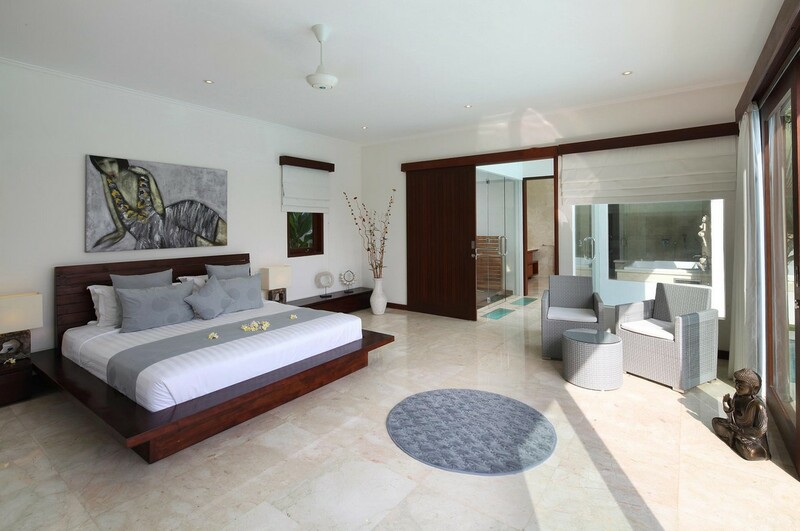 The villa Istana Putih is a magnificent luxury villa which extends on a ground of 1200sqm. 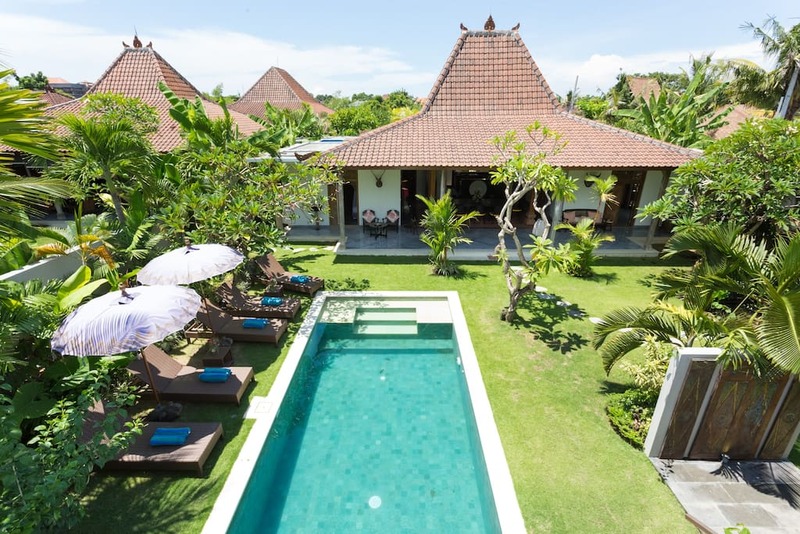 Located in Canggu in middle of rice field, and just at 20 minutes in drive to center of Seminyak and the famous Tanah Lot temple. 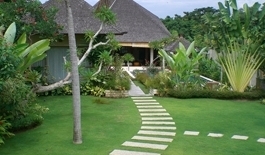 The villa can accommodate up to 12 peoples, 4 bedrooms with queen size and one room with two single bed. 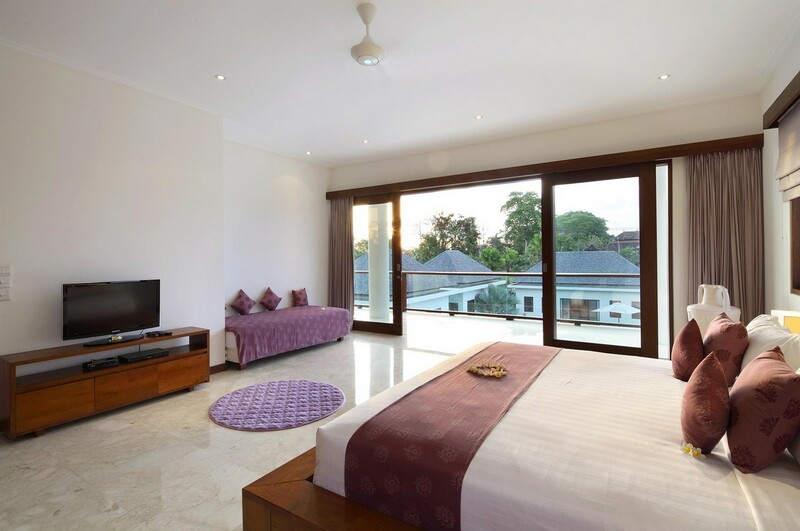 The rooms in first floor will benefit of view in garden pool view thanks to a big window. 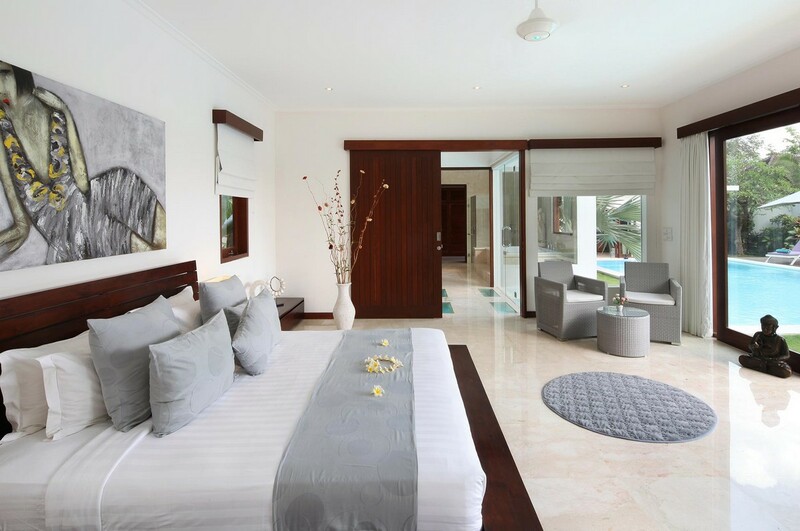 The rooms upstairs will have a right to a balcony overlooking the garden and pool. 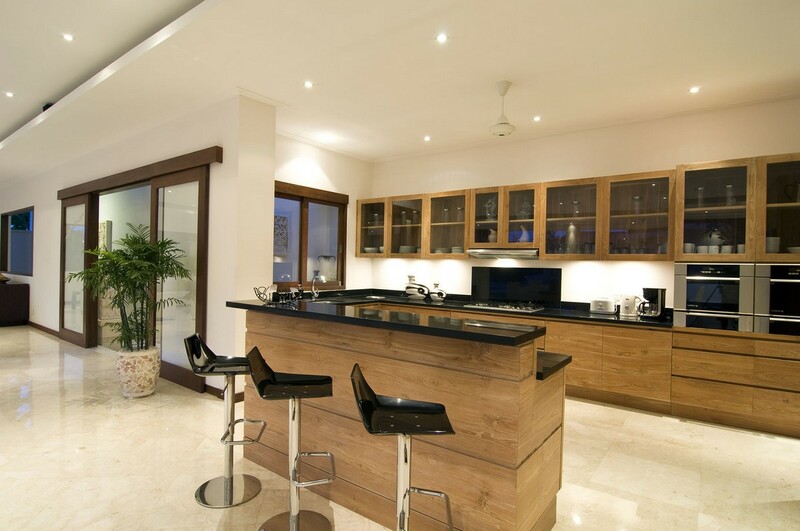 You will enjoy of living area open overlooking the garden and pool, the full equipped kitchen, the dining room only do one. 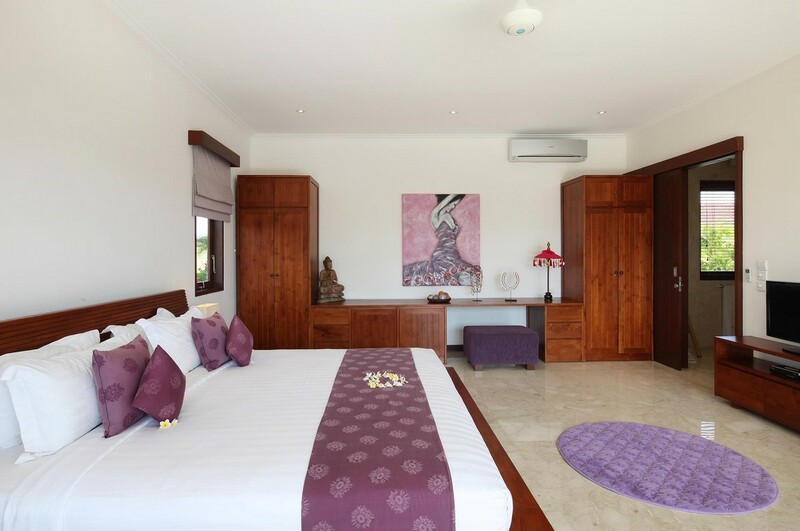 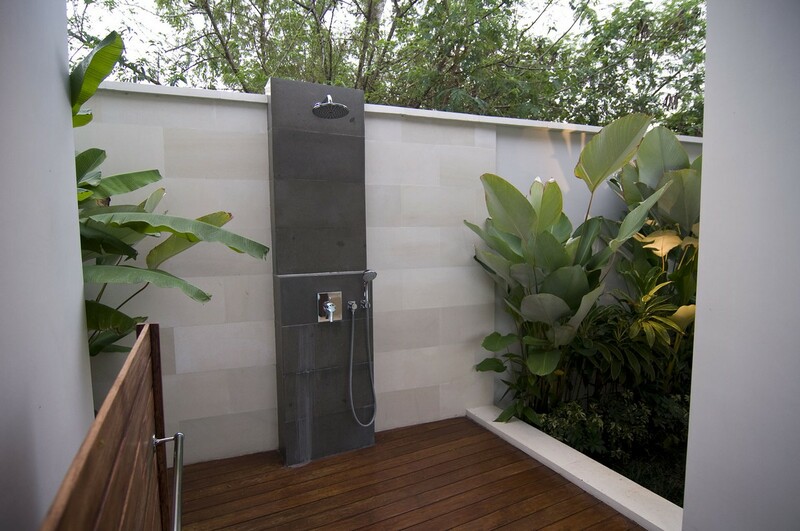 The villa is equipped with AC in room and bathroom, and Wi-Fi connexion high speed. 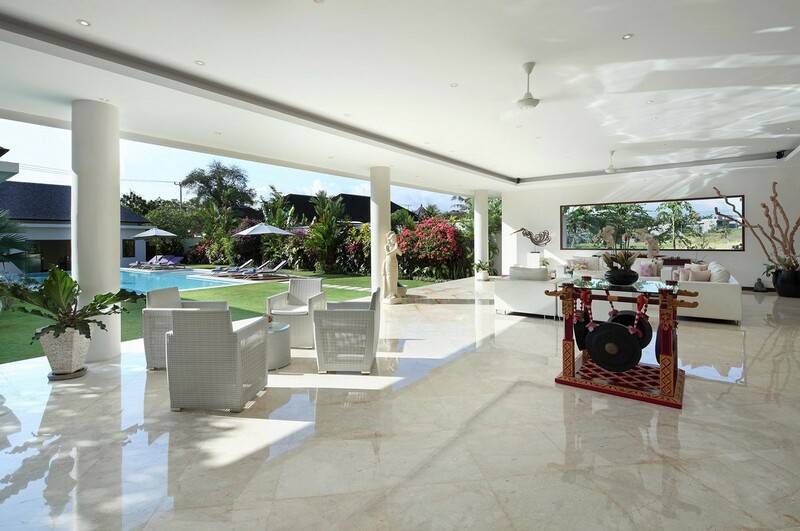 This villa Istana Putih means “white palace” in Indonesian, and it is not for nothing. 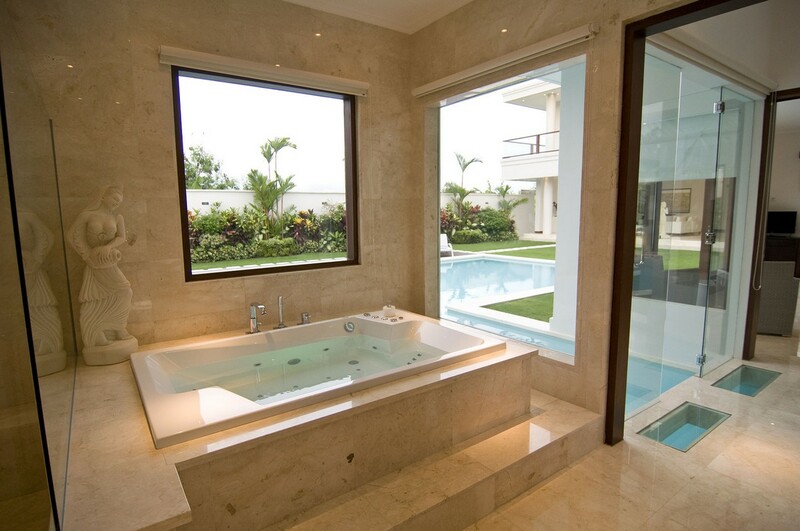 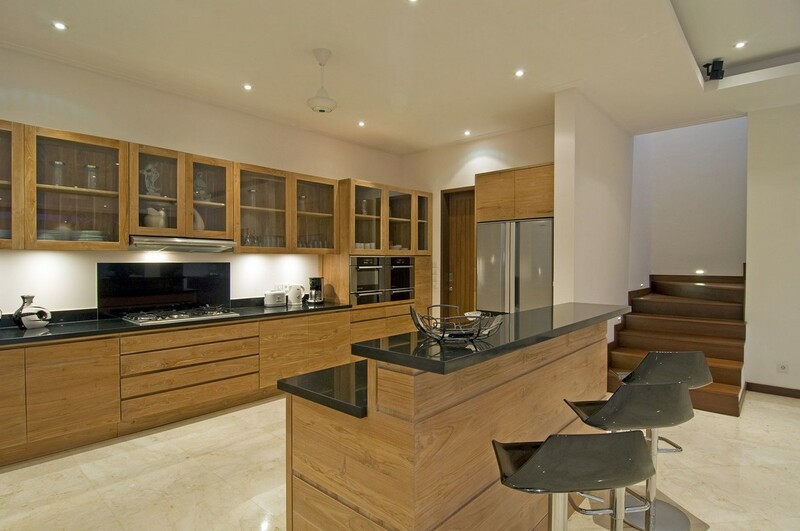 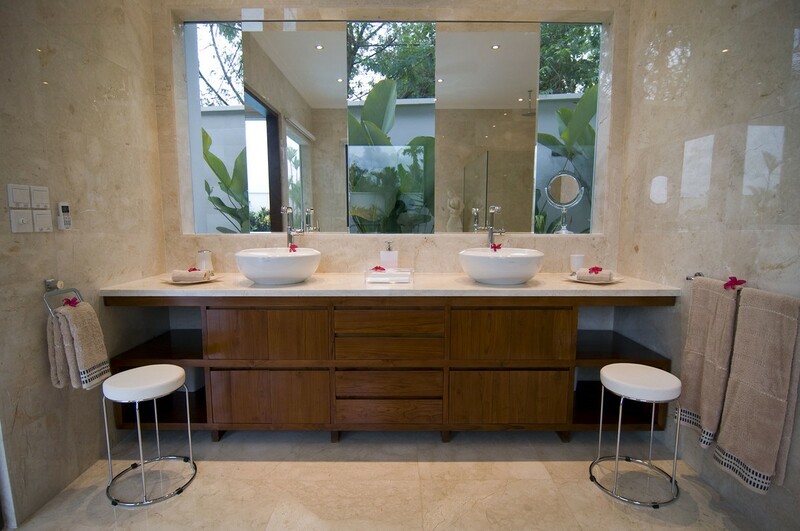 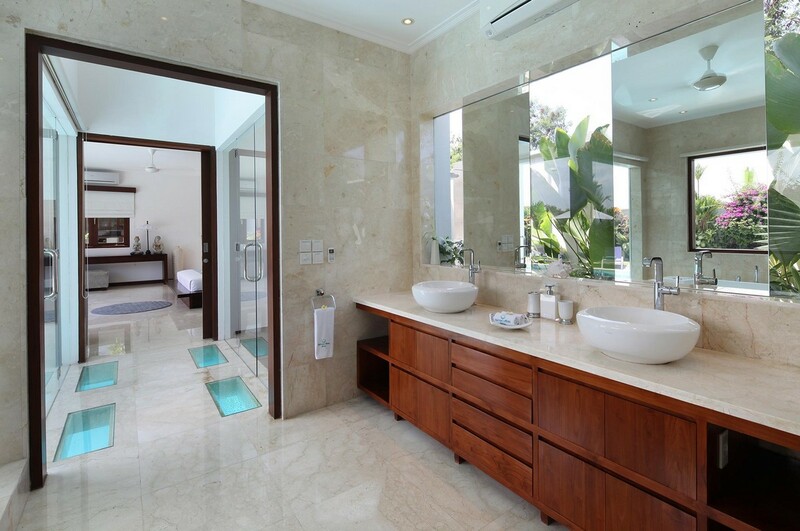 You will be able to feel luxury while staying beautiful villa. 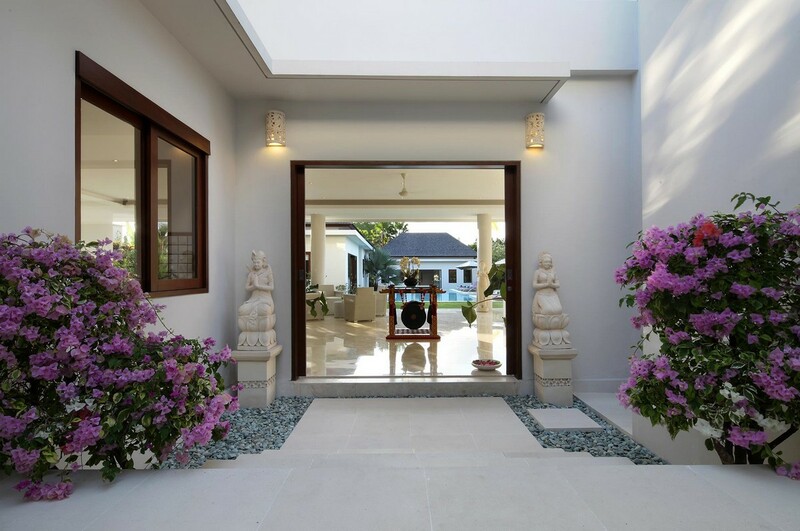 We look forward to welcoming you for your dream vacation to Bali.